If you turned the true story of America’s greatest jewel thief into a movie, it would include scenes from Monte Carlo, New York and even Tokyo. It would feature a black woman, and the script would span seven decades. It would feature hair-raising tales; but, like most movies, the problem is always the ending. Will it end in a daring getaway where the heroine disappears into the night? Will she end up on a tropical island surrounded by diamonds and wads of cash? Nah. It ends at Wally World. According to The Independent, Doris Payne, the 87-year-old woman who is purported to have stolen more than $2 million in jewels over the span of her decades of larceny, pleaded guilty to shoplifting $86.22 worth of merchandise from Walmart and has vowed to give up stealing. This was Payne’s second offense in as many years, after she was caught trying to steal a $2,000 necklace from Atlanta’s Perimeter Mall. 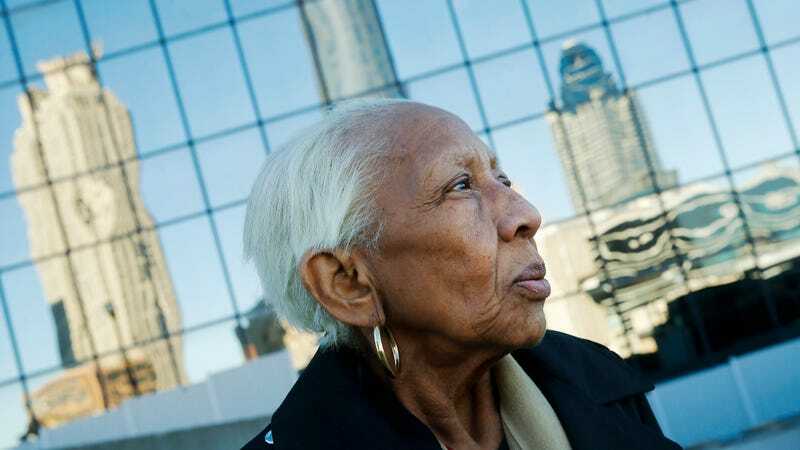 86-Year-Old International Jewelry Thief Doris Payne Arrested in Ga.
Payne says that she never used violence or a weapon, and the only tool she ever used was a purse and sleight-of-hand. When she was caught at Walmart, she was wearing an ankle monitor because of a previous arrest. But now that the celebrated heist master is hanging up her diamond-cuffing fingers, what do you get a woman who retires from the jewel-thieving industry? A gold watch? Never mind. I’m sure she can get her own.